Culinary Croatia selects top-notch gourmet retreats delivering extraordinary gastronomic experiences as their signature. From historic Istrian stancijas, to gourmet hotels and Dalmatian homestays, spice up your Croatian travels with a delicious twist in perspective. Recognizing food & wine as their central theme, these gourmet hotels highlight the beauty of living in line with nature. All carefully restored, momentous estates with a distinguished historic dimension, their zest for modern brings ultimate comfort to a new level. Be on the lookout for centuries’ old stonework details, restored hand-rails, intricately painted ceilings or handmade roof tiles, but freely expect intriguing pieces of art, sensibly designed ambiance and world-class service. Culinary Retreats focus your stay around the art of fine dining, the philosophy of food and cooking and their role in the Croatian culture. Through approaching local traditions, global fashion and their daily menus with equal curiosity and commitment, they spotlight the individual spirit of their regions, as well as properties. Savour signature regional dishes interpreted by local culinary wizards, and get the inside scoop at cooking classes, if available. Taste lamb and cheese in Pag, considered unique as animals graze medicinal herbs growing from barren karst. Hand-pick fresh foods and spices from organic gardens or explore open markets the way that locals do. Discover new wineries, winemakers, wines and grapes and investigate how they pair with typical local bites. Hike the steep slopes of Dingač vineyards on Pelješac peninsula to fully appreciate the wine in your glass. Adding a new flavour to your Croatian travels, Culinary Croatia retreats shine a new light onto the local culture. They are a unique opportunity to immerse in historic traditions on contemporary terms, soaking in the knowledge, skill and hospitality of natives excited to share their country and passion for food and wine. Slightly smaller than West Virginia, Croatia measures around 23.000 square miles and its abundance may come as a surprise. Featuring three distinct climates, its sceneries, lifestyles and traditions are ever-changing. Today, a growing number of hospitality venues across the country engages in showcasing this uniqueness and diversity with style – and taste. In the flatlands of the Croatian north, these are castles which grew upon medieval towers, serving spicy, hearty dishes. 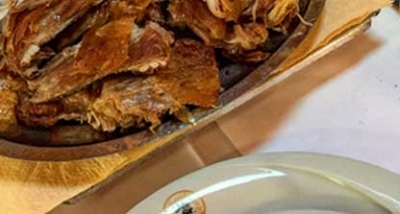 In Istria, mystical towns perched up on the hills of its rolling interior offer specialties like fuži and truffles. Elegant Istrian stancija’s, former agricultural estates, are an ultimate encounter with the peninsula’s past. Along the Adriatic, think ancient, think pristine, think sea views, think scents of the Mediterranean. Historic palazzos restored to modern comfort, but also contemporary style villas on the seafront. Unique wines, extra-virgin olive oils, fresh fish, lots of grilling, ancient skills like peka. All with a dash of luxury, these unique Culinary Retreats bring you the best of Croatia served with a special touch. Architecture, history, culture, culinary specialties, wines and wine cellars, engaging owners and staff – they are each present in our Culinary Retreats. So take your pick, relax, and savor Croatia. The modern tastes of classical Istria!